People always want to look unique and different from other. You might have observed that some people do weird stuff so that they can distinguish themselves from the group of people with which they are associated. They always want to do some thing different, unique and weird. They always want to grab the attention of their audience and one of the weird thing which people do is Tattoo making. 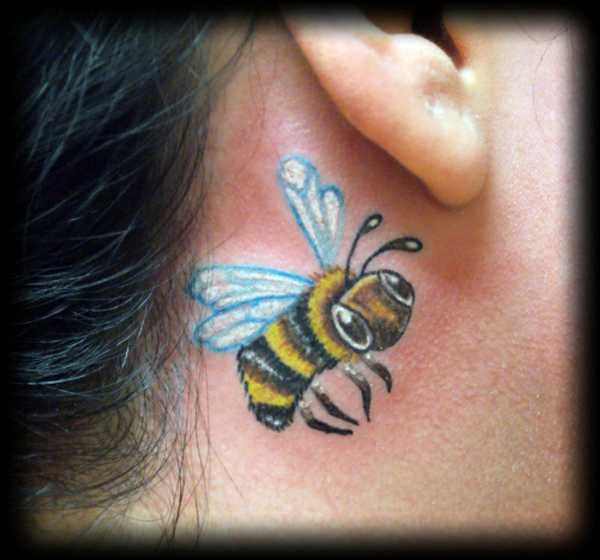 Most of the time when people get bore of their looks and face they want to try something different and that different thing is that they make Tattoos on different parts of their body. It’s actually very interesting also because sometimes you also come across very attractive and creatively made tattoo designs. Tattoo designing as an art and is also very difficult. A new trend has been started of designing a tattoo on the back of your ear or inside the ear. This type of tattoo designing actually caught my attention and i came across some really good examples of ear tattoo designs that i also want you people to see. Here after doing a little research i present a collection of Ear Tattoo Designs in front of you. Enjoy, I hope you will like them. And don’t forget to give feed back. You May like Awesome Tattoo Designs Collection.